Home > Tax Issues > What is Inheritance Tax? Inheritance tax (also sometimes incorrectly referred to as 'death duty'), or IHT, is a tax which is payable upon the death of an individual. Today's inheritance tax has its origins in the 'legacy, succession and estate duties' of 1796. In 1857 these duties were extended, now stipulating that any estate over a value of £20 should be taxed; in reality, however, those with a value of less than £1500 rarely were. In 1975, these estate duties were rebranded as Capital Transfer Tax and, in 1986, IHT was introduced. IHT is certainly not a huge source of income for the exchequer, but it is a significant one; annual government income from IHT totals around £2 billion. At its current rate, 40% of the value of an individual's tax estate is spoken for under inheritance tax. Anything below the 'nil rate band', however, is not taxable; the band rises annually but, as of 2006, is set at £285,000. Below this band, virtually the entire estate of the deceased is subject to the tax. All of the individual's assets are taxable, whether they are in the form of property or personal possessions. Similarly, inheritance tax also applies to some forms of asset which are not directly under the ownership of the deceased, but the status of which changes as a result of the death. This is true of life interests which are being held in trust. Furthermore, any gifts which were made within the seven years preceding death are also taxable. Inheritance tax has come in for stiff criticism as many see its 'catch-all' nature as unfair. There are, however, some deductions available within the current terms of IHT. The most common of these is a deduction for assets inherited by a spouse or, as a result of the recent incorporation of the Civil Partnerships Act, a legally defined civil partner. All donations to a UK registered charity are exempt from IHT, along with some (but not all) political donations. After the nil rate band gifts of up to £3000 per year are also exempt, along with gifts to separate individuals of up to £250 each. However, IHT exemptions do not apply to any gift from which the donor may have received any benefit. The rules surrounding benefit are complex, but where it is judged that the giver has in some way profited, exemptions will be revoked. Inheritance tax is not the huge source of income to the government that it could be, as a result of the widespread use of multiple tactics of avoidance. One of the most popular of these involves holding assets in trust. 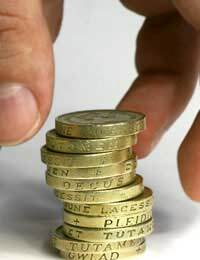 The Finance Act of 2004 attempted to mitigate the effect of these methods by means of a system called pre-owned asset tax, but this has been fairly ineffectual; a huge number of professional organisations still give advice on how to minimise the amount that you will have to pay in IHT. Some of these methods are dealt with in another article on this site.